Judith Fraser received her training at the Royal Academy of Music in London, England where afterward she was principal cello with the London Festival Ballet. Returning to Vancouver, Ms. Fraser became a member of the Vancouver Symphony Orchestra and the CBC Radio Orchestra. A founding member of the Vancouver Cello Club – treasurer for 37 years – Judith was also a founding member/manager of the Baroque Strings of Vancouver. She played with the Vancouver Opera Orchestra and was orchestra manager for 12 years. As a participant in the Banff Summer Residency programs, Ms. Fraser studied pedagogy with Aldo Parisot and gave master classes in Brisbane, Melbourne and Hobart for the Australian String Teachers Assn; La Pas Music School in La Pas, Mexico; Chetham’s School of Music in Manchester, England, and the University of Ottawa. Together with John Kadz from Mount Royal Conservatory in Calgary, they organized 9 Cellofests at the Banff Centre with international master cellists. 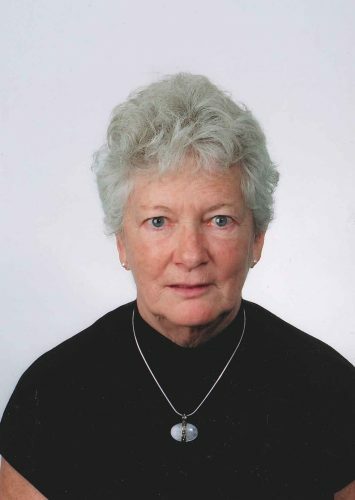 Judith Fraser is editor of the Vancouver Cello Club newsletter, and honorary life member of the VYSO Board, guest instructor in Nanaimo and Calgary, coach of VAM’s Adult Cello Ensemble where she has served as a distinguished faculty member since 1972. Judith Fraser currently devotes her time to teaching and adjudicating.